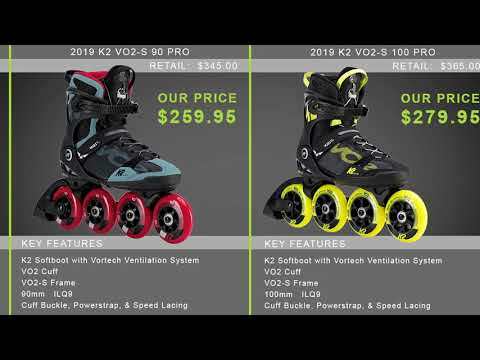 The K2 VO2 90 Pro is great for the skater looking for speed and smoothness in a skate that is also quick and easy to put on, and comfortable for hours. 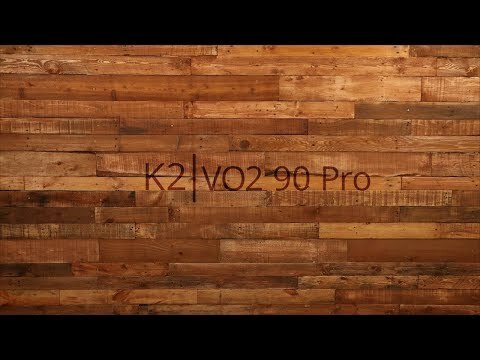 With the K2 V02 90 Pro skates you are skating with the top of the line offered from K2. ILQ-9 Bearings get the 90mm wheels going and once you get up to a decent speed you'll start to feel the air rush through the Vortech Ventilation System offering you a cool and comfortable ride. The Custom Fit Foam liner gives you the cushiness of the K2 Softboot for comfort with the support needed for performance. Speed and smoothness is not only found in the skates components and skating ability, you will also be able to get these skates on and off in a breeze. The K2 Speedlace system is not only highly effective in offering a secure and safe fit but it is super quick and easy making it a fast process to get the skates on and off. A very enjoyable inaugural outing totaling 8 miles. I cross country ski and could not help compare the smoothness and comfort of these skates with my favorite pair of Nordic skis and boots. Epic glide, high quality boot, very comfortable. A: You shouldn't have an issue, companies don't post what the minimum size wheel that can be used is. The main concern is that at some point the brake is going to be resting on the skate surface before the wheels. Also keep in mind that the frame is elongated to accept the larger 90mm wheels and adding a smaller wheel may roll fine but you will compromise the cornering ability of the skate as now you have smaller wheels further apart which will make it harder to corner than it would with the larger wheels being closer together. A: These would be fine, my recommendation would be to not use them for outdoor skating, and if you do both get 2 sets of wheels to swap out. When skating outdoors the wheels will pick up dirt and debris that can coat the wheels making them slippery on wood surfaces, and some rinks will not allow wheels to be used that have been used outdoors as this dirt and debris can also damage the wood surface. Q: Do you match prices if I find the same product cheaper? A: Yes, please contact customer service at 888-412-6836 and they can go over the price match with you and ensure you get the best price. Q: Is the break removable? 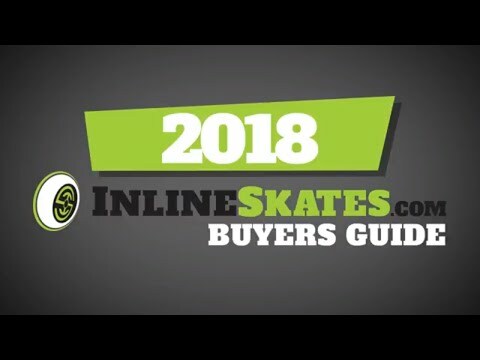 Does the skate come with a bolt short enough to screw on after the break is removed? I do not want a break. A: Brake is removable and there is a short axle included in the box to do so. Q: How is the fit on these? Are they true to size, run small, run large or right on? A: K2 skates fit true to your standard shoe size. I wear a 10.5 in my shoes and wear 10.5 in my K2 skates and they fit great.